When Alfa Romeo introduced its 420 bhp, four-wheel drive 155, the more conventional rear-wheel drive Mercedes 190 couldn't matche Alfa's performance. In 1993, the Italian car dominated the category, winning 12 races out of 20 with its the two factory drivers, thus winning both drivers and constructors titles. 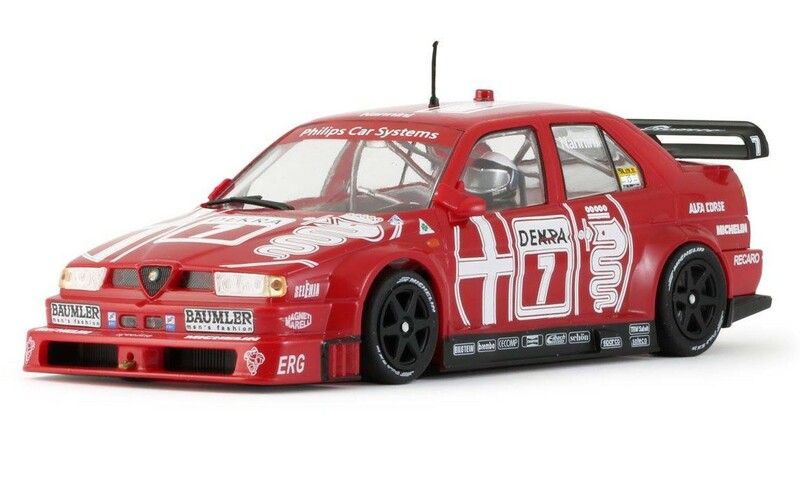 To date, the Alfa Romeo 155 is the only non-German car to have won a DTM championship. This Slot.it model reproduces the works No. 7 racing on the legendary Nordschleife, driven by former Formula 1 driver Alessandro Nannini.